"Is there any free MOV player for Windows computer? What is the best free MOV player to play MOV files on PC?" Many Windows users would come across such kind of questions when they try to view MOV files on PC or Windows computers, by adopting the system’s default player – Windows Media Player. They would find that they can’t play MOV files with Windows Media Player. Therefore, the requirement for an MOV player, or even free MOV player comes up. For Windows users, there are a lot of options on free MOV players, and this post will show you 5 best free MOV player software apps. Part 1: Why You Need an MOV Player? As known to all, MOV is originally created by Apple to play files from iTunes. The default MOV player software to play MOV files is QuickTime player designed by Apple as well. This means that MOV is actually originally accepted by QuickTime player, iTunes and iOS devices like iPhone, iPad and iPod. Microsoft Windows comes with the Microsoft Windows Media Player (shown in the picture) that is capable of playing .AVI, .MP4, and .MPEG, .MPG, and .WMV movie files. Apparently, the MOV video format is not included by Windows Media Player. Then, the question comes out: how to play MOV files on PC? To sum up, there are 3 ways in which we could play MOV files on Windows computer: install MOV codec package, adopt 3rd-party MOV player software, and convert MOV file to Windows Media Player compatible formats like MP4 or WMV. Installing an MOV codec pack like K-Lite Codec Pack could enable you to play almost all media files on Windows computer, including MOV files, while an MOV converter helps you convert MOV files to videos in popular formats like MP4 and WMV so as to let you view MOV content on various media players. But a 3rd-party MOV player should be the best choice you could make since it has advantages the other 2 ways don’t get. Compared to codec pack and MOV converter, MOV player could be free, light and reliable. What’s more, if you select a proper MOV player, you could enjoy far more than video files. 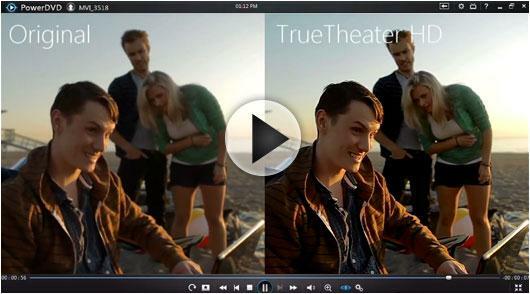 If you choose the right MOV player, you could even play Blu-ray and DVD movies with that media player. You could get quite a lot of options of MOV player software programs to play MOV files on PC. There are paid ones and free ones. The below content lists you 5 best MOV player software you could adopt for your PC. 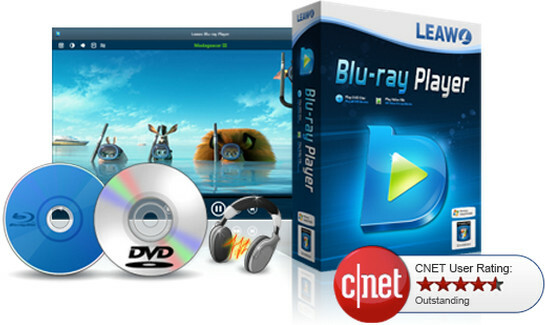 Officially named as Blu-ray Player from Leawo, this MOV Player software provides you the best image and audio quality for playing MOV files on Windows computer (including Windows XP, Vista, 7, 8, 8.1 and 10). It helps you freely play videos in 180+ different formats including MP4, AVI, WMV, MOV, FLV, MTS, MKV, etc. on your Windows computer. It could play back up to 4K videos without quality loss. What’s more, it’s a region-free Blu-ray media player that could play back Blu-ray and DVD discs, regardless of disc protection and region code restrictions. VLC media player (commonly known as VLC) is a portable, free and open-source, cross-platform media player and streaming media server written by the VideoLAN project. VLC media player supports many audio and video compression methods and file formats, including DVD-Video, video CD and streaming protocols. It is able to stream media over computer networks and to transcode multimedia files. VLC is available for desktop operating systems and mobile platforms, such as Windows 10 Mobile, Windows Phone, Android, Tizen, iPad, iPhone, and iPod Touch. K-Multimedia Player (commonly known as The KMPlayer, KMPlayer or KMP) is a media player for Windows which can play a large number of formats including VCD, DVD, AVI, MKV, Ogg, OGM, 3GP, MPEG-1/2/4, WMV, RealMedia, FLV and QuickTime. It has a significant user base and has received strong ratings and reviews on major independent download sites like Softonic and CNET. CyberLink is well known for its affordable and intuitive video editing software, as well as for their DVD and video playback software. PowerDVD can play back DVD and and Blu-ray discs, as well as any video file formats. 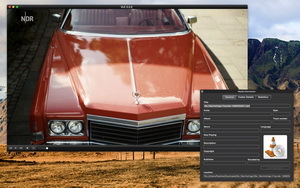 It supports UltraHD 4K videos, which can be even further enhanced with their unique TrueTheater Lighting technology, that enhances detail and colors. The TrueTheater Surround feature gives you expanded stereo output options if you want to connect it to your home theater for a complete surround sound experience. DivX Player is the first of its kind, award-winning software offering free HEVC playback, including Ultra HD (4K), a must-have for those who appreciate high-quality video. Player is also optimized for movies, TV shows and web video clips in the Internet’s most popular formats, including AVI, DIVX, MKV, MP4, MOV and more. Leawo Free Blu-ray Player is the best free MOV player software for you to play MOV files on PC and Windows computers. If you’re looking for the best free MOV player, you get to try this. Why is Leawo Blu-ray Player the best free MOV player software? 1. This free media video player is 100% free. You could use it to play any media in any format for totally free. No in-app purchase or other kind of cost required. 3. Free media video player to play up to 4K UHD/1080P Full HD video without quality loss in any format, including 4K MKV, 4K MP4, HD MP4, HD AVI, etc.